Paris, F – Esplanade du 9 nov. In 2006, the square Porte de Versailles in front of the Paris Exhibition and Congress Centre in the 15th Arrandissement was renamed in Esplanade du 9 novembre 1989, chute du mur de Berlin. The name change was accompanied by the erection of a Wall segment, however, which lasted until 2009. Initiator for this was the then district mayor Jean Goujon. The segment is a gift of the Berlin Senate to its twin town Paris. 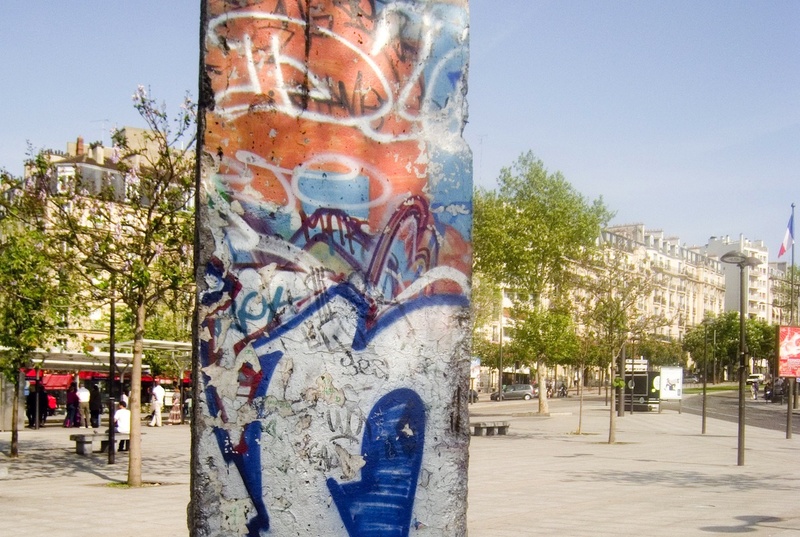 The Wall Net > The Berlin Wall in... > Europe > France > Paris, F – Esplanade du 9 nov.